Scouting Report: NM State has now made an NCAA Tournament appearance in eight of the last 10 years and for the third year in a row. This will be New Mexico State’s 22nd all-time appearance in the Big Dance. The Aggies are 7-23 all-time in March Madness with all seven of their wins coming from 1968-70. The last NM State win in the tournament came against St. Bonaventure in the NCAA Consolation game, 79-73, during its Final Four run in 1969-70. However, the Aggies had to vacate wins from 1991-94, including a 3-3 mark in the NCAA Tournament during those years. This year’s team lost its first WAC contest at California Baptist but then rattled off 19 straight conference foes, which included three in the WAC Tournament. Out of conference, NM State played three teams in this year’s NCAA tournament–a win over North Dakota State at home, a home loss to St. Mary’s and a road loss at Kansas (although NMSU took the Jayhawks to overtime). The Aggies have an average margin of victory of 14 points per contest. They average 78 PPG and only give up 64 PPG. NM State is third in the country in rebounding margin (9.6) while its offensive rebounds per game (12.82) checks in at No. 20 in the nation. This was done with Coach Jans collecting castoffs from bigger schools and junior college transfers after losing a number of last year’s tournament team. The result has been a unique roster situation in which the Aggies run 13 deep and essentially operate in platoon style yet found it to work to get 30 wins on the season. Key Player: Junior G Terrell Brown is the lone Aggie to average over 10 points per game with 11.3 point average. He is also the team’s primary perimeter threat, hitting 43.1 percent of his 3-point attempts. He will be the key to the Aggies to pull off the upset over the SEC Tournament champion Auburn. after averaging 9.9 points and 7.1 rebounds with a deadly .632 shooting clip in league play. This is the second all-conference honor for Chuha after earning Second-Team All-WAC distinction his sophomore year. Chuha’s final season has been highlighted with a game-winning lay-up at UT Rio Grande Valley. Look for him to be a force defensively as well to be a very good fantasy play. 23rd different opponent the Tigers have faced in the tournament. This is the fourth time Auburn has been a 5 seed or higher (1 seed in 1999, 4 seed in 2018 and 5 seed in 1984). Kansas (11) and Gonzaga (10), and are tied with Syracuse (8) as programs with the most consecutive NCAA Tournament appearances with at least one win. The Tigers defeated Tennessee 84-64 just before Selection Sunday for their eight-straight win of the season to capture the SEC’s automatic bid to the tournament. 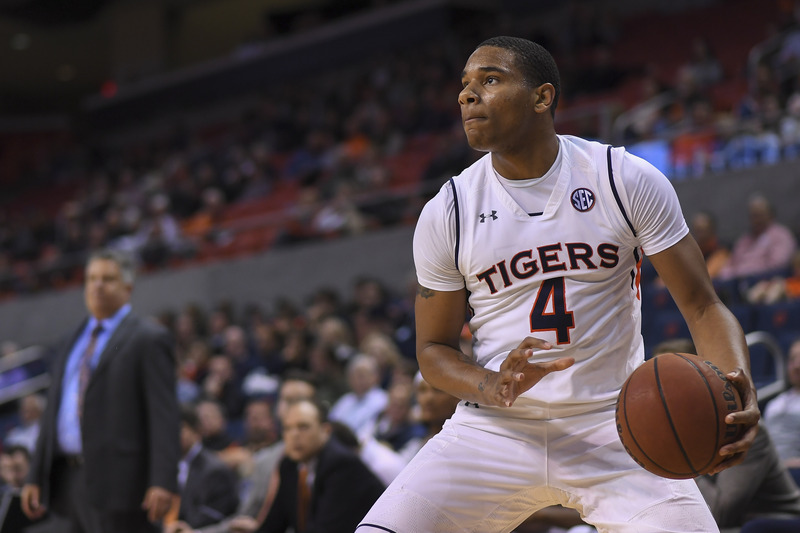 Auburn finished the regular-season tied for fourth-place in the SEC with South Carolina behind LSU, Tennessee and Kentucky. The Tigers will have experience on their hands, having played eight teams that are in the NCAA Tournament – including five from league play. The SEC title win likely was the best win over Tennessee this season. Key Player: Senior G Bryce Brown and Junior G Jared Harper both starred throughout the four wins in four days in Nashville in the SEC tournament and are averaging 15.8 and 15.2 points, respectively. The duo have combined for 210 3-pointers, and the Tigers are shooting 37.6 percent from beyond the arc overall. During their current seven-game winning streak, the Tigers have averaged 12.3 3-pointers while clicking at a 38.1 percent clip. Key Fantasy Player: Sophomore Chuma Okeke had 18 in the SEC title game and has scored 17 or more points in three of the last six games. He is hot right now and in fantasy it would be good to play the hot hand.